Welcome to the FabShop Hop! 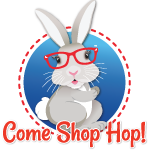 Thank you for registering at www.fabshophop.com for the FabShop Hops. FabShop Hops: January, February, March, April, May, June, July, August, September, October, November, and December. Start here! 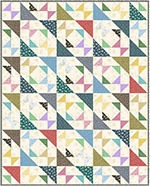 Register first to FabShop Hop. 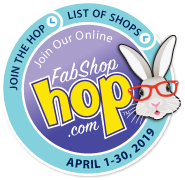 Once you have submitted your registration and participated in one FabShop Hop, you will not need to register again for future Hops. 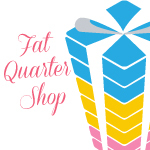 By registering you are giving FabShop permission to send you emails during FabShop Hop events. Go to the Member Area to view your registration, edit or update your registration, or change your password and/or email address. I would like to receive mail from the shops participating on the hop. 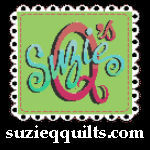 I would like to signup for the QuiltSavings -- the newsletter of savings, discounts and free stuff for quilters. 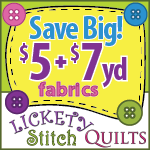 I would like to signup for FabricSavings -- the newsletter of savings, discounts, coupons and free things for sewers, quilters and fabriholics. 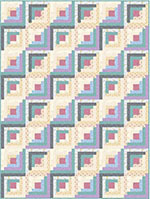 I would like to signup for DailySavings.com -- a daily e-newsletter for sewing and quilting enthusiast featuring shop news, announcements, product information, specials, coupons, and discounts. Only one email per physical address Because this is a contest and we want to make it fair to everyone, please only one entry per person -- that means one name and email address per physical address. 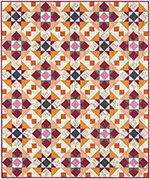 We know that there are a few sewers and quilters who share a physical address, but we dont know another way to prevent duplicate entries and unfortunately, there are a few people out there who enter under several names and make it difficult for everyone. All duplicate entries will be automatically deleted. Guidelines for email or address changes once you have registered. If you need to change any of the above information, please click here to sign into your member account. We recommend you print this page as a reminder of the e-mail address you used and keep these instructions in case you need to make changes.